An apostille is a consular certificate to officially confirm that the signing person’s signature and office and, if necessary, seal or stamp on a document are genuine. Documents approved by apostille are valid in all countries acceding to the Hague Convention Abolishing the Requirement for Legislation of Foreign Public Documents of 5 October, 1961. Where can I have apostille legalized? 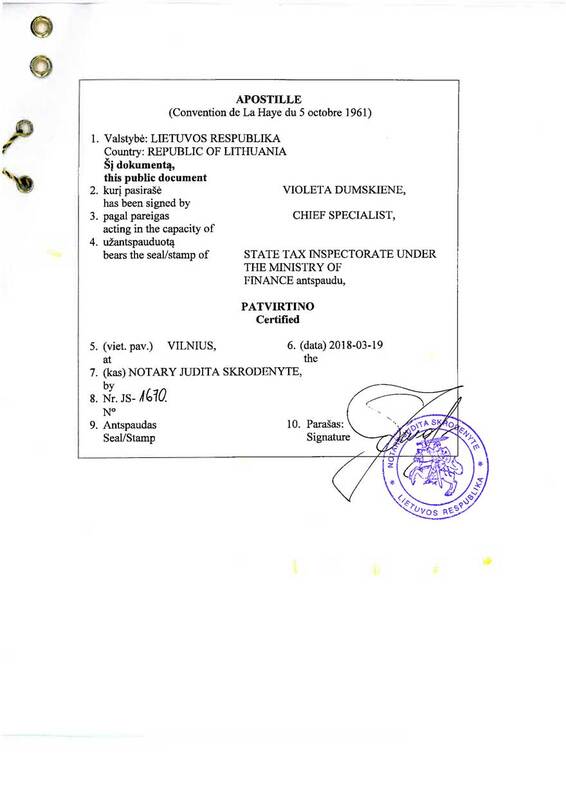 Documents issued in Lithuania may only be legalized by the Ministry of Foreign Affairs of the Republic of Lithuania (J. Tumo-Vaižganto Street 2, 115, LT-01511 Vilnius). Documents are received on working days from 9 am to 12 pm and returned from 1 pm to 5 pm. For more information, you may contact the Ministry by phone +370 (5) 236 2613. Do I have to be present during the document legalization procedure? 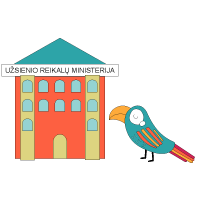 The Vilnius-based translation office “Kalbų gausa” offers document legalization services. If you cannot go the Ministry of Foreign Affairs of Lithuania in Vilnius, or if you live in another city or are abroad, we can do that in your stead. How do I get my documents approved by apostille? 3) We will have your documents approved by apostille and send them back to you. How much does the document approval by apostille cost? If you send the documents by mail, the price for each document to be approved by apostille is 40 €. We may also translate your documents into the corresponding language on your request. An apostille is a consular certificate which corresponds to the sample provided by the Hague Convention Abolishing the Requirement for Legalization for Foreign Public Documents to officially confirm that the signing person’s signature and office and, if necessary, seal or stamp on a document are genuine. The signature, seal and stamp on the certificate are not authorized. The text of the apostille may be given in the issuing government institution’s official language. Additionally, its headlines may be given in another language. The title APOSTILLE (Convention de la Haye du 5 octobre 1961) must be written in French. An apostille is a reconfirmation of the document. Both original documents and their notarized copies may be approved by apostille. Documents approved by apostille are valid in all countries acceding to the Hague Convention Abolishing the Requirement for Legislation of Foreign Public Documents signed on 5 October, 1961. State parties to the convention are obliged to have a registrar or a card index in which records about the issued certificates with indication of their serial numbers and dates of issue are kept, as well as the signing person’s name and office, and a seal or stamp of the issuing government institution in case the document has not been signed. At the behest of any privy, the issuing government institution must confirm that the information in the document correspond to the registrar or card index data. The apostille is issued by a government institutions (in federal countries, by federal subjects, i.e., land or canton administrations), public officers (i.e., consular officers), officials, and private individuals (i.e., notaries public). Apostille approval is imposed a levy. The certificate is issued at the instance of the signing person or each individual whom the document concerns. In Lithuania, approval by apostille is carried out by the Consular department of the Republic of Lithuania and its subordinate diplomatic missions and consular institutions.